If you want to ride Connemara ponies this is the place to come. It is one of the most highly regarded Connemara Pony Studs in Ireland and these sturdy and active ponies are the perfect mounts for exploring the moorland, hills and beaches around the centre. 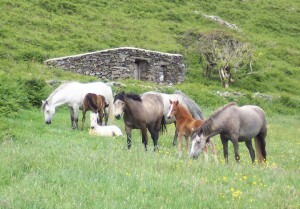 Most of the ponies are home bred and you can see mares and their adorable foals in the fields also. Riders of all ages and abilities are catered for and children are especially welcome here, with the very popular residential holidays a perennial favourite. Catering for only 6 children at a time, each of whom have their own pony for the duration of their stay, these last a week and as daily lessons there are hacks, gymkhana games, jumping, cross country fences and rides on the beach. There is no on-site accommodation. Children attending the weekly courses stay with local families and for others there is a very wide choice of local accommodation. Short aside here: I have very happy memories of riding here when I was about 10 or 11. I cried for a week when it was over and loved ‘my pony’ so much that I actually wrote letters to him afterwards. Sad. 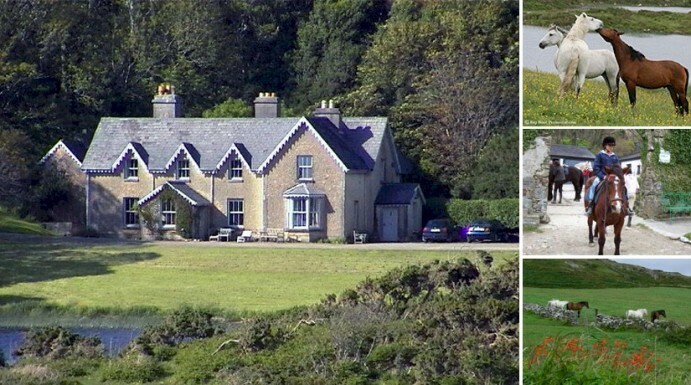 Have you something to add about "Errislannan Manor"?